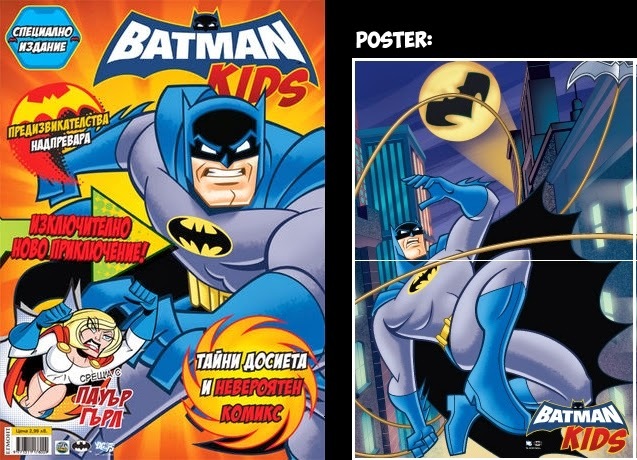 BAT - BLOG : BATMAN TOYS and COLLECTIBLES: #BATMAN: THE BRAVE AND THE BOLD Kid's Magazine Appears on Book Newsstands in Bulgaria!! #BATMAN: THE BRAVE AND THE BOLD Kid's Magazine Appears on Book Newsstands in Bulgaria!! Here's some great news for our friends living in, or near, Bulgaria!! DC Comics is publishing a "Batman: The Brave and The Bold" TV Cartoon Magazine for children. it's called, "BATMAN KIDS" and is ON the stands right now! I love that it's in the Bulgarian language and that country finally has some new bat-product there, very cool! Let's hope it does well and it might spawn more bat-merchandise there.